Baby Driver 2 hasn't been officially announced by Sony Pictures just yet, but director and creator of the potential franchise is eager to go to work on the sequel. He has confirmed that a first draft of the movie is completed, and he has also revealed a few more new details. Edgar Wright is a cult favorite director, and has delivered some substantial hits over the last decade and a half. He first made a name for himself with the British TV sitcom Spaced, which teamed him up with comedy duo Nick Frost and Simon Pegg for the first time. The trio would go onto do the Three Flavours Cornetto trilogy, which includes Shaun of the Dead, Hot Fuzz and The World's End. Edgar Wright also directed the box office bomb Scott Pilgrim Vs. the World which has gone onto have a huge life on home video and streaming, becoming a true cult experience in the process. His biggest hit, though, came with Baby Driver. And now we're getting a sequel. Though, when it will arrive in theaters is a bit cloudy. Edgar Wright started talking about a follow-up almost immediately after Baby Driver arrived mid-summer 2017. He definitely wants to make the movie, and says this about its development progress. "A first draft of Baby Driver 2 exists. [It] takes the story further. 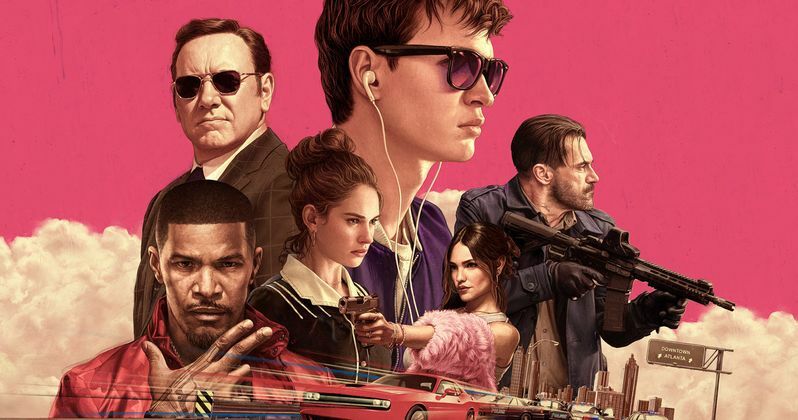 Baby Driver 2 will expand the mythology of the first film with several all-new characters. And Wright promises that this next one will keep up with the original's body count. Many of the main characters in Baby Driver didn't make it to end credits. But rest assured, Ansel Elgort will be back to drive once again as Baby. The wait is going to be longer than usual with this one. Baby Driver 2 will have to take a backseat to Edgar Wright's next two projects. It was announced last year that he was putting together a documentary on iconic pop-rock band Sparks. Now, he has also announced his next narrative feature film, which is currently untiled. It will be a psychological horror-thriller that pays homage to Don't Look Now and Roman Polanski's Repulsion. Edgar Wright will be shooting his upcoming untitled horror thriller this summer in the Soho part of London. No cast has been announced at this time, but it will feature a female lead, which will be a first for one of his own directorial projects. He says this about the movie. "I realized I had never made a film about central London - specifically Soho, somewhere I've spent a huge amount of time in the last 25 years. With Hot Fuzz and Shaun Of The Dead you make movies about places you've lived in. This movie is about the London I've existed in." Edgar Wright co-wrote the screenplay with Krysty Wilson-Cairns, best known for her work on the Showtime series Penny Dreadful. Though this new project has a summer start date, no release date has been announced. It's likely that we'll see the Sparks documentary in late 2019, but Wright's next movie probably won't hit screens until summer 2020 or later. Which means we won't see Baby Driver 2 until 2021 at the earliest. This latest update comes from the pages of Empire magazine, on sale now.